Dan Corredor is the President and Owner of The Strategic CFO. He's either been a CFO, CEO, or President of a company for the last 28+ years. 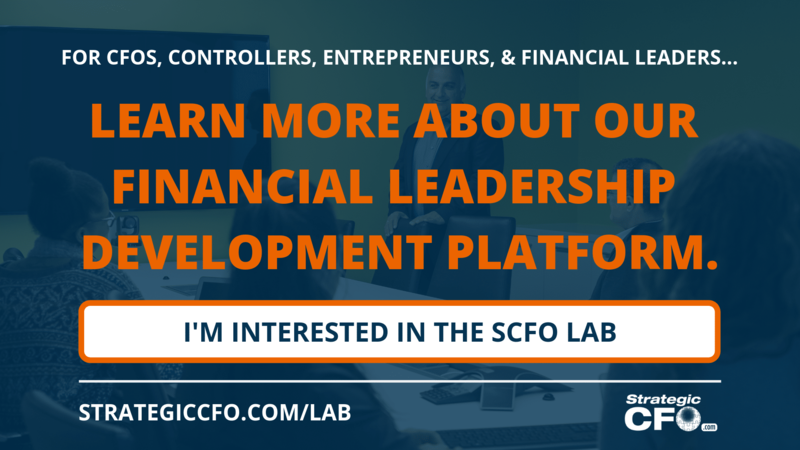 His diverse background and evolving experience as a consulting CFO/CEO helps bring The Strategic CFO to life. Dan's expertise includes the following: • mergers and acquisitions • due diligence • post closure business integration • operational and financial restructuring • accounting efficiencies • working capital • cash flow management His experience also includes dealing with business owners and private equity groups. He has held multiple CFO positions and was promoted twice to President & CEO. Dan has also sat on boards. Private Equity companies come in many different colors and flavors. They can be a very good resource for capital when an owner is looking to exit, or partially exit (“take some money off of the table”). Oftentimes, entrepreneurs or founders (the seller) never thought of or did not know that Private Equity was an alternative; thus, I wanted to cover how selling your business to a private equity group may be a good option for you in this Blog. Private Equity firms (“PE”) can be a very good alternative and buyer for your business. And they can usually get a deal/transaction completed in a very reasonable period of time. Most PE will not waste your time. They will tell you up front after one or two meetings if they are a “real” buyer. In the past year, I saw some statistics that quoted that there is nearly one trillion dollars in PE dollars on the sidelines ready to invest. That is an incredible amount of money ready to invest. But this is what you need to know if you are thinking about selling your business to a private equity group. This is critical and can make your life pleasant or miserable. Once you find the PE firm that is purchasing your company, most likely they are purchasing the majority of the equity in the business and they are purchasing a controlling interest. As an entrepreneur, founder, and business owner, you have lived in your company for many years. And you have set your own agenda. Most importantly, you do not answer to anyone! If you are selling your business to a private equity group, then consider getting rid of any destroyers in your business that may be destroying value. Download the Top 10 Destroyers of Value to learn what those destroyers are and how to get rid of them. In my 30 plus years of experience, these are the stages of a private equity relationship that I have observed for some entrepreneurs. It’s a lot like marriage! The private equity firm approaches you and your business. There are some really nice dinners, great friendly meetings. There are multiple tours of your business. People understand each other. Everything looks like this is a great fit! After many visits, conference calls, and review of some basic company and financial information, you sign the Letter of Intent “LOI”. You find your self engaged to the PE firm. There is a big prize on the horizon, and you can’t wait for the deal to close. This stage might last between 60 days to 6 months. The cash has hit your bank account for your 70% of the business, and you still maintain 30% of the business. The PE group has promised a great relationship and lots of capital if you ever need it for growth. From now on, you can only double your money. Life is still good! But now… You get the first request to deliver a monthly reporting package on a timely basis. That means that you – the CEO of a company you own 30% of – must deliver on the 10th day of the following month a report to the PE group. You better have good numbers, and you better explain any variances to the penny. Remember, you are dealing with very smart, analytical professionals that can smell BS a mile away. So, BS will not cut it. You have had many Board meetings where you are now the subject of interrogation. You have to come up with answers to variance from budget, but you sometimes cannot explain them because for the last 20 years, you have run the business based on a gut feeling and it has worked. Now, you have a room of MBAs in their 30s asking you questions. Yikes! You hate the thought of the next Board meeting. You are starting to question the relationship you have with the PE firm. Those great expensive dinners during the dating stage are meaningless. You are not enjoying going to work every day. As a matter of fact, you now have to take calls on weekends and get permission to take a vacation! One or two years have passed since the close of the transaction. You have had countless Board meetings, and you have suffered though all the interrogation. They have treated you like a kid and someone thirty years younger than you who is new to the business is telling you how to run “your business”. You now only own 30%. Selling to a PE firm is still a great option. In the U.S., PE firms have a lot of liquidity and can get a deal done. They can afford to pay you a reasonable price for your business, or part of your business. There is nothing wrong with any of that. What is wrong is that the business owner, founder, and/or seller does not understand what the requirements are after the sale process. So, what is required after selling your business to a private equity group? Your _ _ _ is on the line to respond to the owners that now control your business. You sold your business. You are an employee. Most likely, you have never been an employee. If you can honestly accept this new role, you will be fine. If you think you still call the shots after the closing of the transaction, you will be hating life. Selling to PE Firms can be a wonderful experience if you know what is on the other side and if you are willing to take on a new role, one as an employee. If you are not open to being the employee that answers questions and will be held accountable, then pause and consider what it takes to sell to a PE Group. If you are considering selling your business to a private equity group, then first see if there are any “destroyers” in your business that may be taking value away. Read through our free Top 10 Destroyers of Value whitepaper to learn more. In my 28+ year career, I have seen countless ERP system implementations and accounting system implementations. While some have been very successful and made a huge difference in the company, I have seen disasters. Millions of dollars spent over budget. Complete failure for the system implementation. This is one of my “hot boxes” when I hear consulting clients, coaching participants, colleagues, and companies in my network considering new systems. If you follow my steps on how to lead an ERP system selection process (included in this blog), then you will save thousands to millions of dollars depending on the size of your company. The biggest disaster was with a company that did not follow any of the steps listed below. Their original budget of $8 million went to over $30 million, and if that wasn’t bad enough, they lost nearly half their revenue because of that bad system implementation. Before I go into how to lead an ERP system selection process, let’s look at some reasons for selecting a new ERP system. I will use the term ERP to include accounting systems as well (although they can be two different things). But they do have common challenges and I refer to them as one in this blog. There are many reasons why you may be shopping for a new system. The system selection process and system implementation process can be very expensive – thus tying up you cash flow. Learn about other ways to improve your cash flow. Over the years, I have seen or been involved with so many different systems being implemented. While I am not an implementation expert by any means, I have been involved with enough of them that I feel very strong about the right way to implement a system. When I have seen failed system implementations, they all have many common variables. So, I came up with my list of “must haves” for a system implementation. As a financial leader, you need to be spearheading the ERP selection process. You want to make sure it is done right because it is well documented that a system implementation gone wrong can cost millions of dollars of over run and precious time. A new system is NOT an I.T. project. This is a very common mistake made. Do not allow your I.T. Manager to serve as the project manager. They will have some involvement, but it must be measured. There are many firms that do the system selection process for you. They come in and evaluate your requirements for this system. Then they narrow down the choices from dozens to a handful. This not only helps the company not get overwhelmed by the number of choices, but it also helps the company find solutions they may not have known to look for. These system selection firms are experts in this field. If you want to do it right, then hire an outside firm. It is worth every penny and will likely save you a lot of money in the future. c) does not understand your operation and processes. This can be someone for your organization, but you might have to hire someone from the outside. The Blue Print designed represents your operations and process, so you must fully understand it and sign off on it. This is part of your contract for the new system. Once you sign off on it, the burden is on you. Test your new system in a sandbox environment. This testing can also be incorporated with training your staff. Making errors in the sandbox environment will not affect your business. Errors post Go Live will affect your business. While you are working with the system selection firm, you may not check everything off your list. While it’s tempting to just say customize it, it may be better (and less expensive) to change the way you do things to fit the system. When you customize these systems, you increase the chances of it breaking when there are updates, requiring more support, and being harder to adjust when you need it to. By customizing your system, you are significantly increasing the cost of the implementation and future maintenance of the system. Be open to change how you do things today and try to adapt to the system. Now that you have invested in the system and started the actual implementation, you need to provide extensive (and expensive) training for your team BEFORE YOU GO LIVE. The training should be on site, not remote. They will always offer remote training because it is cheaper, but it is not the same as on site training. The last thing that you want to run into is not investing in training and no one using the system. This training will not be given in a couple hours; it will probably take weeks. Invest in it to get the greatest return on investment. Or you risk them using the system and making mistakes because they were not properly trained. I have seen way too many examples of systems implemented and little to know remote training. What I recommend to every client and company implementing a new system is to run 1 or 2 month end closes parallel. This will help avoid disasters by getting rid of the existing system prematurely and smooth out any kinks or breaks in the new system. I always get the same response… “this is a lot of work and will cost me more man hours”. But you will avoid a blow up in the future. Running 2 systems for 2 months can be costly – restricting your cash flow. To find other ways to improve cash flow when leading an ERP implementation, click the button below to download our 25 Ways to Improve Cash Flow whitepaper. Many times, the CEO or another executive driving the investment sets an arbitrary “go live” date. That’s a sure way to create a disaster. Have a goal… But do not have a hard deadline because there will always be something you did not plan for. I recently spoke to a CFO of a successful company, and she was telling me about their recent new system implementation. I was ready to hear another horror story… But she surprised me! She told me it was a great experience. They had no real big issues and stayed with in the budget and timeline. I asked her to please tell me what they did to be successful. She basically listed the items 1-11 above. It is a coincidence that I have listed those items for years now. But it proved my point. Implementing a new ERP system is expensive, so if you’re company isn’t cash rich, then you may need to improve cash flow in other areas of your business to keep you afloat. 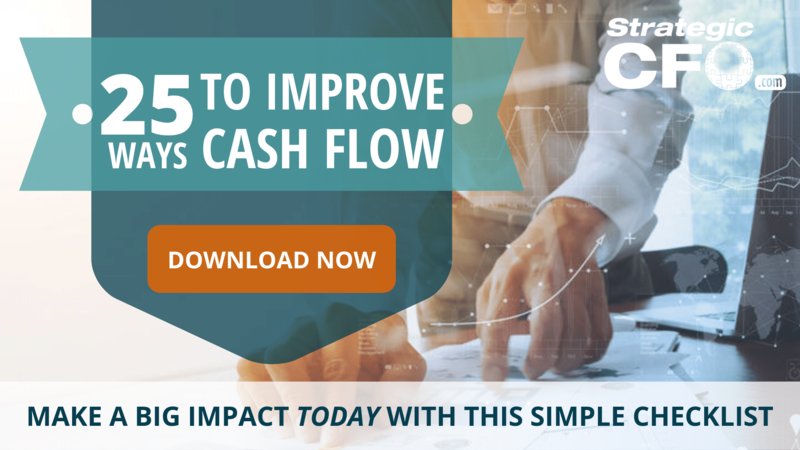 Download our 25 Ways to Improve Cash Flow whitepaper and start making a big impact on cash flow.